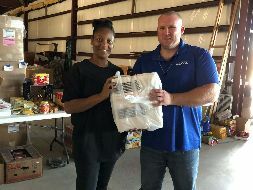 I continue to thank all the people and firms involved in giving their time, money and items to the Hurricane Michael relief effort. 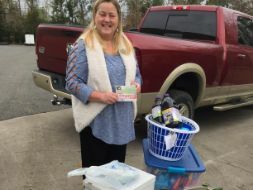 Electric heaters, food, cleaning supplies, tools, electrical devices, flashlights, water and gas cans were also delivered to Chipola Family Ministries. Director Fred Cook was very appreciative. 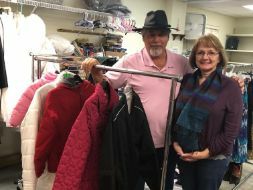 Coats and winter apparel was delivered to Chipola Family Ministries by Rhonda Hammond, AIA of Hammond Design Group. 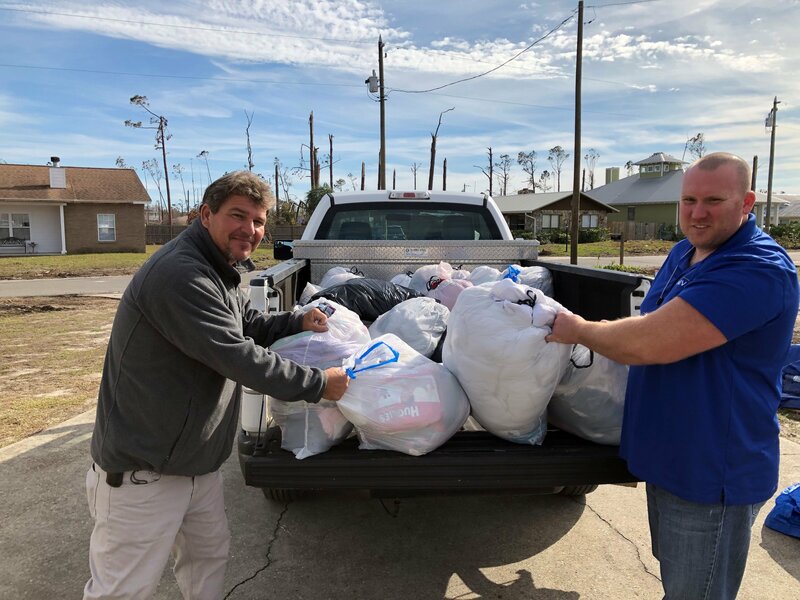 Bart Haynes, AIA of Nova Engineering and Rhonda made several trips to Mexico Beach delivering clothes, cold medicine, blankets, coats and diapers and personal hygiene supplies. 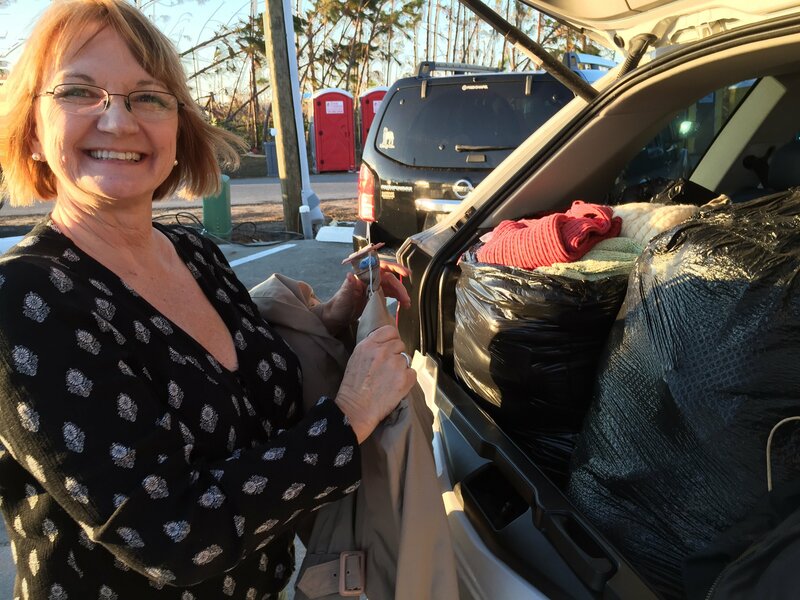 Wewahitchka received clothes, coats, blankets and cold medicine. 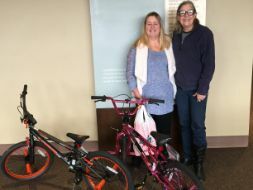 Video games, clothes, shoes, and bikes for Angel Tree Christmas gifts to middle and high school age kids were delivered to Rivertown Community Church in Marianna FL. 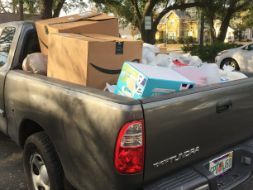 Items including cleaning supplies, personal hygiene supplies, clothes (all from AIA Florida office) and a box of oranges (from a neighbor) were taken to Cypress, FL. 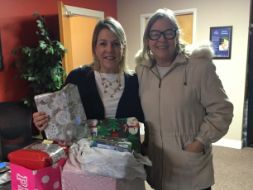 Wrapped Christmas gifts from AIA Florida, the remaining video games, tangerines, coats, blankets, and the remaining supplies from AIA Florida including diapers, wipes, charcoal, water, paper products, kitchen supplies and misc. 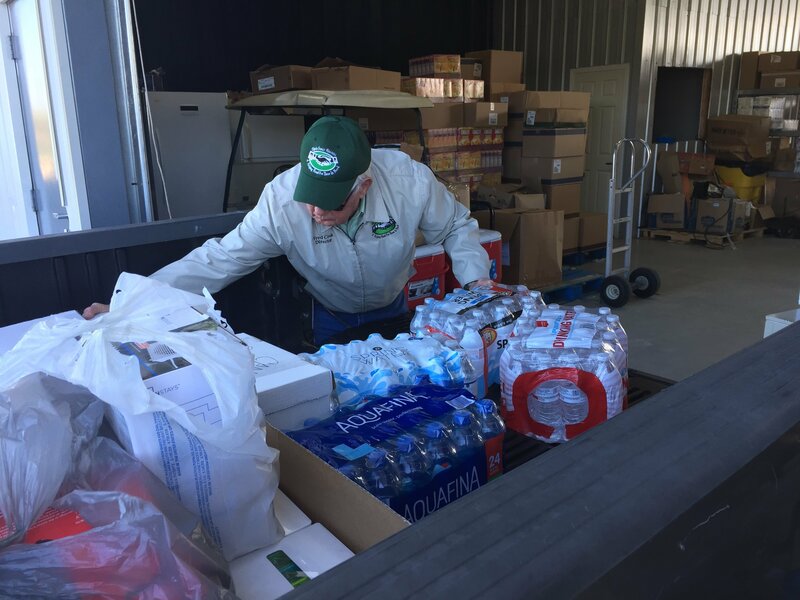 items were delivered to Big Bend Community Base Cares for distribution to foster children and their families throughout the affected Big Bend area. In addition, AIA Tallahassee has a fundraiser going on right now with a goal of $10,000 by the end of the year. To date, we have collected $4440. 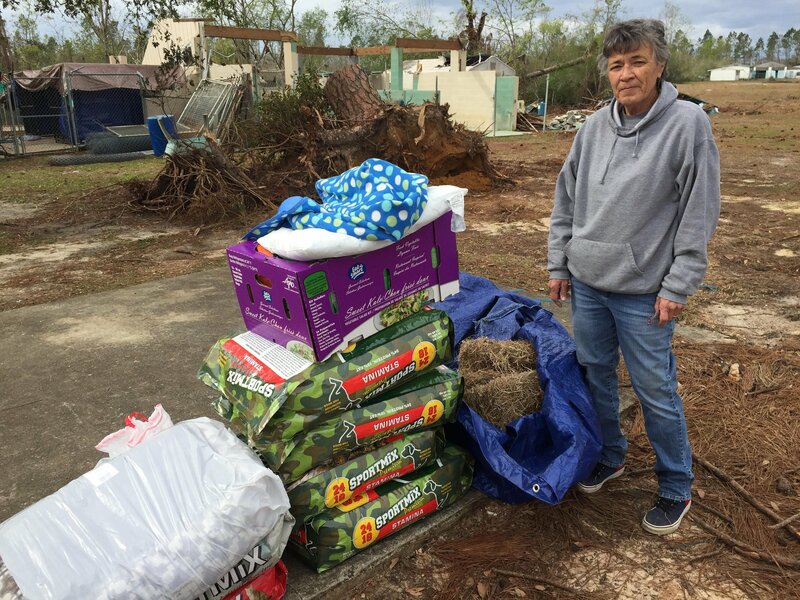 Please consider donating to this fund by sending your check to AIA Tallahassee at PO Box 10249, Tallahassee, Florida 32302. Your generosity will go along way in helping. Pat Hoy, AIA: Presidential Citation for his continued leadership, work and support of AIA Tallahassee and AIA Florida. Monty Stark, AIA: Presidential Service Award for his leadership on the strategic council. George Johnson, Assoc. AIA: Presidential Certificate of Appreciation for his hard work and support on the newsletter, meeting notices and other mail outs throughout this entire year. As always the highlight of the event was the Drink and Draw contest. LeJon Smith, Stephanie Barber, Ivan Johnson, and George Johnson were all award winners. 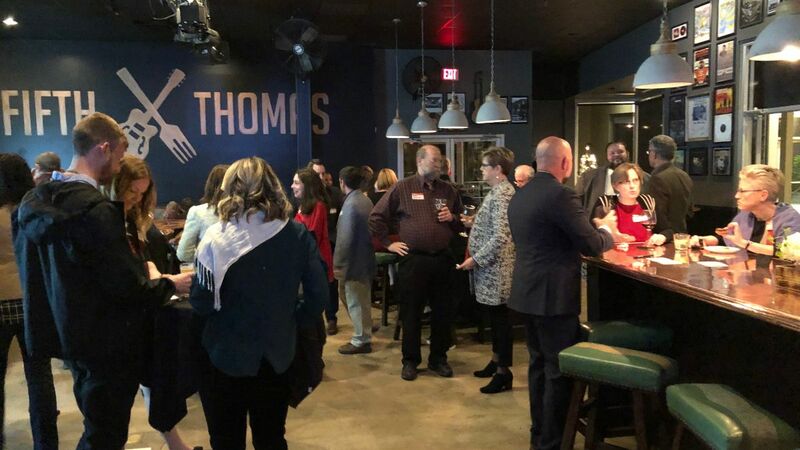 Thank you to Rhonda Hammond, AIA and Miyuki Keller, AIA for coordinating and making the party the success it was this year. If you wish to volunteer and serve on a committee, please contact any of the board members. The board worked diligently to meet the initial review submittal deadline of December 1, 2018. Our application was submitted November 30 and the comments from National’s review came back on December 28th. The board will modify the application based on the comments and resubmit for final review by January 15th. “Urban Design as a Public Service and Community Outreach”. The speakers, Jeremy Floyd, Devan Leavins and Laurel Harbin, all representing the TLCPL started the dialog. This will be the first of many. 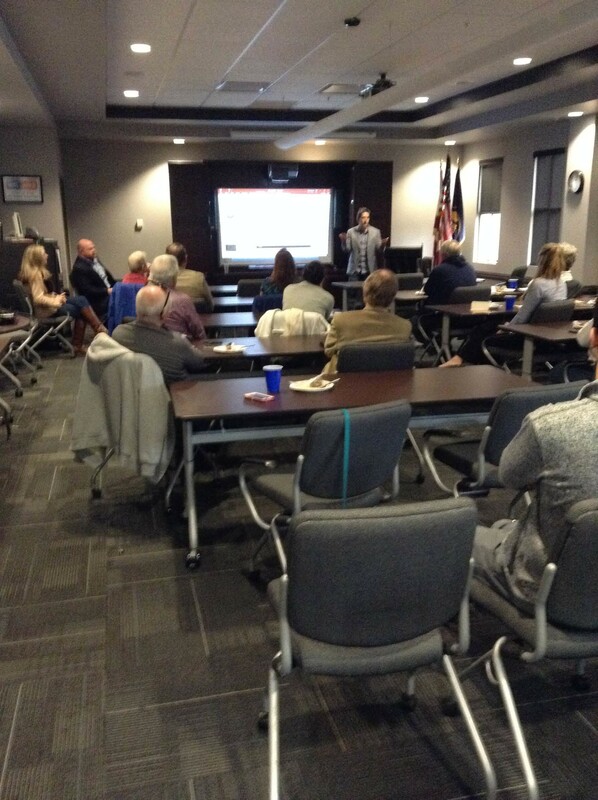 Twenty-two people attended: Architects, Landscape Architects and Planners. Experience Tallahassee is scheduled to take place on Saturday, January 12th, 2019. This is the weekend following the first week of school, so we are especially excited to welcome our out-of-town students back to Tallahassee and kick off the year right! Our table will be set up from 4-7pm. If you want to volunteer for the event please email LauarLee Diallo at ldiallo@dagarchitects.com. Don’t forget to renew your dues. 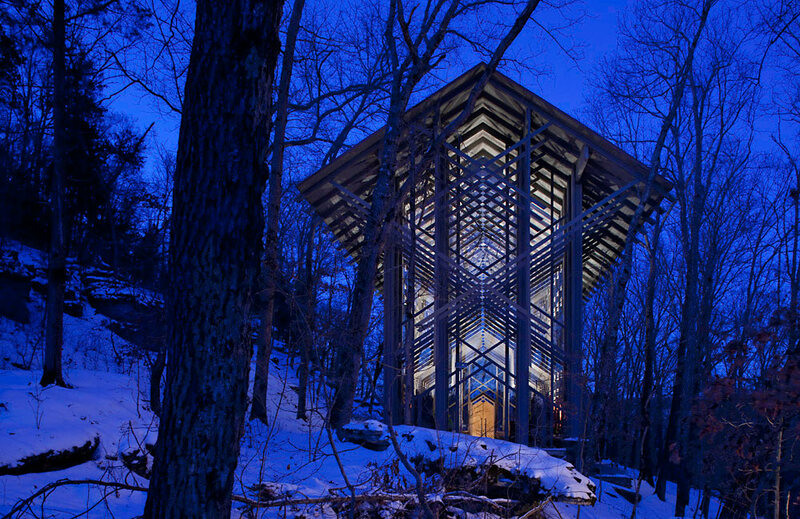 You should have received a renewal notice in the mail or you can go online to AIA.org. to renew. You can pay it in one lump sum or in installments. If you renew between October 1 and December 31, 2018, you have a chance to win an iPhone 8 Plus Special Edition, 12.9 inch iPad Pro, or a $200 Amazon gift certificate. Don’t miss your chance to be part of the inaugural leadership training program, developed by the AIA Florida Jacob Leadership Institute (JLI). Designed and presented by former FBI Agent Bret Hood, this training program is like no other. During the six-month program, qualified candidates will learn a variety of internal and external behavioral skills to immediately apply to their personal and professional lives. Your personal definition of leadership. The difference between transactional and transformational leadership. How the brain operates and how it relates to emotional intelligence. How old management methods diminish motivation and teach how to apply new techniques. Methods to create a positive organizational culture. The differences between influence and power vs. influence and manipulation. To facilitate quality training, space is limited to 15 qualified applicants. Sign up today! •May be paid by individual, mentor, component, firm and/or others. Application Deadline: All completed applications must be submitted by 11:59 p.m. EST on December 31, 2018to be eligible. Notification of Acceptance: Candidates will be notified of their selection to participate in the program by January 15, 2019. To learn more about this program, including dates, locations, curriculum and more, go HERE or call AIA Florida at 850-222-7590. AIA Tallahassee will be awarding one $500.00 scholarship for this program. Please plan to attend the Legislative Day events on February 5, 2019. In an effort to grow the influence of the architectural profession, AIA Florida has developed the Gubernatorial Appointment Program (GAP) to help place architects in positions of influence within our communities. AIA Florida has identified more than 250 appointed positions for which architects could provide key insight and leadership. 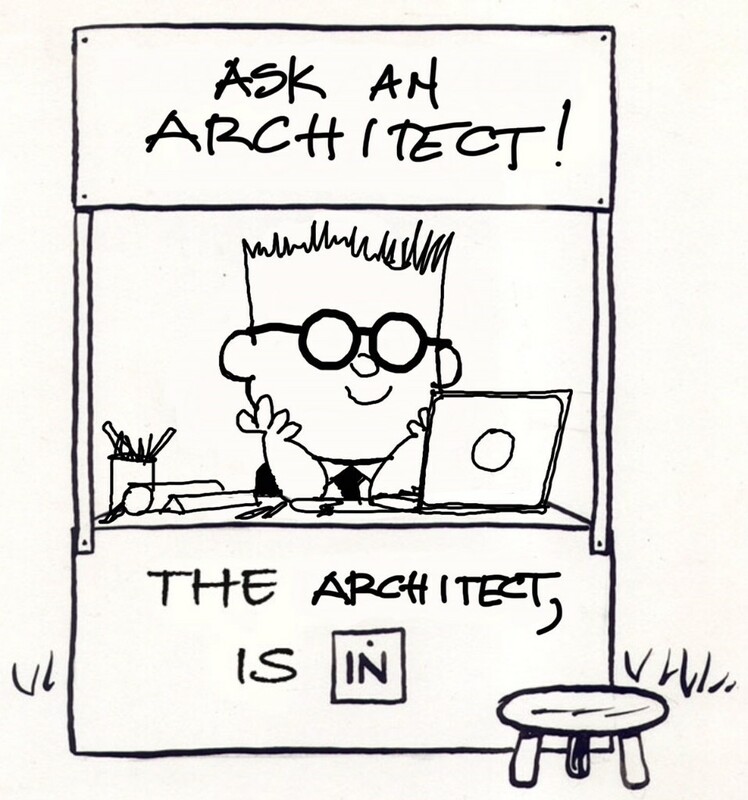 AIA Florida's mission is to position architects to lead the shaping of Florida's future. It is vital that the profession be represented to provide leadership and guidance in all aspects of business that affect the built environment. The GAP toolkit provides each component with all pertinent information regarding each appointed position in addition to an example application and links to the Governor's appointment applications. 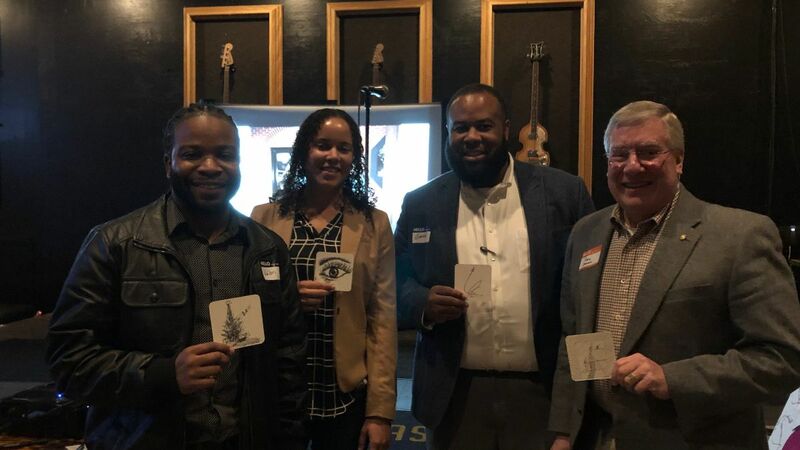 The Emerging Professionals Mentorship Toolkit was designed to provide local AIA Florida components the framework to create an event for members to gain access to education and information as they continue to grow into the profession. The 2018 Component Membership Toolkit is available. The toolkit includes helpful resources for operations, member engagement, strategy, membership reporting, and continuing education. 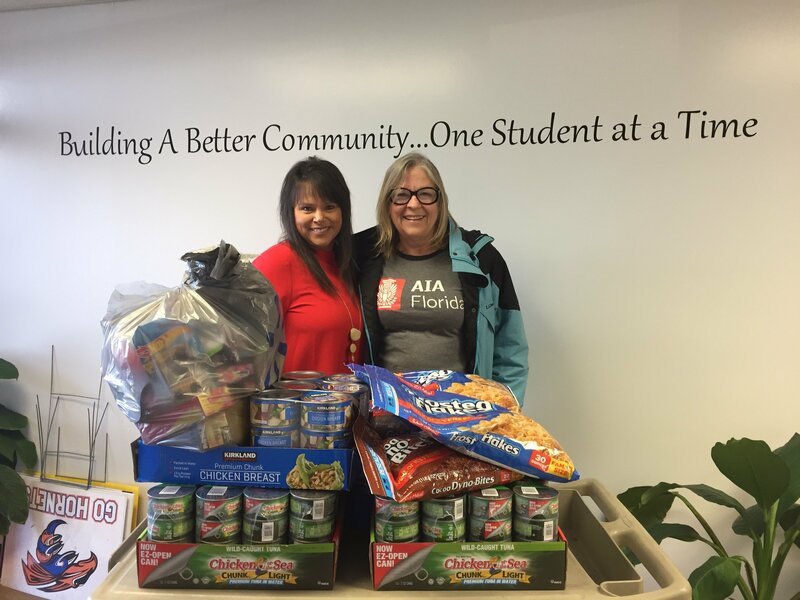 Copyright © 2018 AIA Tallahassee, All rights reserved.